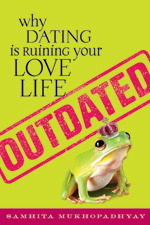 My next book for review is an intriguing read that makes me glad I’m no longer in my 20s or early 30s, Outdated: Why Dating Is Ruining Your Love Life, by Samhita Mukhopadhyay (Seal Press). In it, she refers to the “romantic industrial complex,” a phrase I would have once been much amused by. I feel rather outside all that now (outside the romance industrial complex gates, phew–kind of a relief! ), but I remember being 30 and feeling a crushing, hideous sense of failure that I wasn’t in a long-term relationship. Then I got into one, and it was a case of “be careful what you wish for.” Anyway, that review is coming up in the next few days. As I became involved in Cathy’s story, the book took on a compelling “can’t put it down” quality. It is rare to find a writer who can so exquisitely breathe life into a character. At times, the depth with which the reader was allowed to see Cathy felt almost sacred, knowing that as we shared her most private thoughts and feelings, we were surely being allowed a glimpse into the author’s life as well, into those places and thoughts that are never privy to those around us. The story itself felt rather grim, as we followed Cathy through her painful teen-age years, preparing for ‘The Leaving’, pursuing her studies in preparation for the exams that would determine the path she would take in life. Cathy is painfully introspective, her intelligence as much a curse as a blessing as it tends to further set her apart from her peers. She feels awkward and different from those around her, but her courage in firmly holding to her convictions rather than the living a life that would be a distasteful lie for her, makes us care for her in a protective way as we watch her struggle through relationships in which she often faces rejection or scorn. Even the intellectual intimacy and emotional closeness she shares with Steve is scarred. At times he is cruelly distant or mocking towards Cathy, his behavior a protective shell he has formed around himself as he explores his homosexuality in a time and social climate when that lifestyle was not an acceptable option. 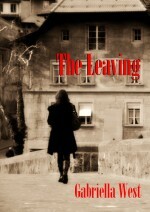 Cathy at last completes ‘The Leaving’, and rather than pursue the higher education that she has qualified for, passes through a different sort of leaving, her curiosity and courageous convictions prompt her to leave the proscribed life in her hometown in Ireland for one unknown, traveling to London to follow Stevie. Cathy eventually outgrows her confident brother, leaving him, the last vestige of the familiar, to pursue life far beyond the confines Stevie has established in his own escape. This entry was posted in Personal, Reviews, Writing and tagged FarFromHome, feminism, Outdated, relationships, Romantic Industrial Complex, Samhita Mukhopadhyay, Seal Press, Smashwords, The Leaving. Bookmark the permalink. Thank you, Tim! The support means a lot to me.